*For a reconciliation of EBITDA, Adjusted EBITDA, and Adjusted Net Income to Net Income, as well as a reconciliation of Adjusted EPS, see note 2 below. Trinseo (NYSE: TSE), a global materials company and manufacturer of plastics, latex binders and synthetic rubber, today reported its second quarter 2018 financial results with net sales of $1,237 million, net income of $98 million, and earnings per diluted share of $2.24. Second quarter Adjusted EPS was $2.40 and Adjusted EBITDA was $170 million. Net sales in the second quarter increased 8% versus prior year due to higher sales volume across all segments except for Feedstocks as well as favorable currency, as the euro strengthened in comparison to the U.S. dollar, which had a positive impact across all segments. These impacts were partially offset by lower prices due to the pass through of lower butadiene cost, which was partially offset by the pass through of higher styrene cost. Second quarter net income of $98 million was $38 million higher than prior year. Second quarter Adjusted EBITDA of $170 million was $44 million higher than prior year. The higher profitability was from higher styrene margins, favorable currency impacts, as well as favorable net timing in the current year, due to increasing raw material costs, in comparison to unfavorable net timing in the prior year. Lower margins outside of the Feedstocks segment, including impacts from raw material costs, were more than offset by higher sales volume across nearly all segments except Feedstocks. Latex Binders net sales of $281 million for the quarter decreased 4% versus prior year. Higher sales volume to the carpet and adhesives & construction markets was more than offset by the pass through of lower butadiene cost. Adjusted EBITDA of $36 million was flat to prior year. Higher sales volume as well as favorable currency impacts were offset by unfavorable raw material impacts, including increasing butadiene cost in Asia. Synthetic Rubber net sales of $155 million for the quarter decreased 11% versus prior year. Higher SSBR and ESBR sales volumes as well as favorable currency impacts were more than offset by the pass through of lower butadiene cost. Adjusted EBITDA of $31 million was $3 million above prior year. Favorable net timing impacts were partially offset by lower margins across several products, including impacts from higher raw material and utility costs. Performance Plastics net sales of $413 million for the quarter was 22% above prior year due to higher sales volume, mainly from our China ABS expansion, as well as favorable currency impacts. In addition, API Plastics contributed a 4% increase in net sales. Adjusted EBITDA of $49 million was $1 million above prior year, and included an approximate $10 million unfavorable impact from planned maintenance activities. Polystyrene net sales of $286 million for the quarter was 22% above prior year due primarily to higher sales volume in Asia, currency, as well as the pass through of higher raw material costs. Adjusted EBITDA of $14 million was $7 million above prior year due to favorable net timing impacts as well as higher sales volume in Asia. Feedstocks net sales of $102 million for the quarter was 5% below prior year due to lower styrene related sales volume. This was partially offset by currency impacts as well as the pass through of higher styrene prices. Adjusted EBITDA of $32 million was $33 million above prior year due mainly to higher styrene margins as well as favorable net timing. Americas Styrenics Adjusted EBITDA of $33 million for the quarter was $3 million above prior year due mainly to higher styrene margin, including an unfavorable impact in the prior year from lower margin spot sales following a maintenance outage. Cash provided by operating activities for the quarter was $142 million and capital expenditures were $29 million, resulting in Free Cash Flow for the quarter of $113 million. Second quarter cash from operations and Free Cash Flow included approximately $13 million of lower working capital. At the end of the quarter, the Company had $451 million of cash after $37 million of share repurchases during the quarter. For a reconciliation of Free Cash Flow to cash provided by operating activities, see note 3 below. For a reconciliation of third quarter and full year 2018 net income to Adjusted EBITDA and Adjusted EPS, see note 2 below. Additionally, refer to the appendix within Exhibit 99.3 of our Form 8-K, dated August 2, 2018, for further details on how net timing impacts are defined and calculated for our segments. Trinseo will host a conference call to discuss its second quarter 2018 financial results on Friday, August 3, 2018 at 10 AM Eastern Time. 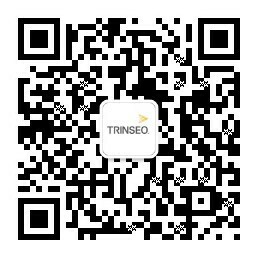 The Company will also offer a live Webcast of the conference call with question and answer session via the registration page of the Trinseo Investor Relations website. Trinseo has posted its second quarter 2018 financial results on the Company’s Investor Relations website. The presentation slides will also be made available in the webcast player prior to the conference call. The Company will also furnish copies of the financial results press release and presentation slides to investors by means of a Form 8-K filing with the U.S. Securities and Exchange Commission. A replay of the conference call and transcript will be archived on the Company’s Investor Relations website shortly following the conference call. The replay will be available until August 3, 2019. * The results of this segment are comprised entirely of earnings from Americas Styrenics, our 50%-owned equity method investment. As such, we do not separately report net sales of Americas Styrenics within our condensed consolidated statement of operations. EBITDA is a non-GAAP financial performance measure that we refer to in making operating decisions because we believe it provides our management as well as our investors with meaningful information regarding the Company’s operational performance. We believe the use of EBITDA as a metric assists our board of directors, management and investors in comparing our operating performance on a consistent basis. We also present Adjusted EBITDA as a non-GAAP financial performance measure, which we define as income from continuing operations before interest expense, net; income tax provision; depreciation and amortization expense; loss on extinguishment of long-term debt; asset impairment charges; gains or losses on the dispositions of businesses and assets; restructuring charges; acquisition related costs and other items. In doing so, we are providing management, investors, and credit rating agencies with an indicator of our ongoing performance and business trends, removing the impact of transactions and events that we would not consider a part of our core operations. (a) Restructuring and other charges primarily relate to charges incurred in connection with the upgrade and replacement of the Company’s compounding facility in Terneuzen, The Netherlands as well as the Company’s decision to cease manufacturing activities at our latex binders manufacturing facility in Livorno, Italy. Note that the accelerated depreciation charges incurred as part of the upgrade and replacement of the Company’s compounding facility in Terneuzen, The Netherlands are included within the “Depreciation and amortization” caption above, and therefore are not included as a separate adjustment within this caption. (b) Acquisition transaction and integration costs for the periods presented above relate to advisory and professional fees incurred in conjunction with the Company’s acquisition of API Plastics. (c) Other items for the three months ended June 30, 2018 primarily relate to advisory and professional fees incurred in conjunction with the Company’s initiative to transition business services from The Dow Chemical Company, including certain administrative services such as accounts payable, logistics, and IT services, as well as fees incurred in conjunction with the Company’s term loan repricing which was completed during the second quarter of 2018. (d) Adjusted to remove the tax impact of the items noted in (a),(b),(c) and (e). The income tax expense (benefit) related to these items was determined utilizing either (1) the estimated annual effective tax rate on our ordinary income based upon our forecasted ordinary income for the full year, or (2) for items treated discretely for tax purposes, we utilized the applicable rates in the taxing jurisdictions in which these adjustments occurred. Additionally, the three months ended June 30, 2018 excludes a $1.2 million discrete tax benefit related to certain legal entity restructuring, partially offset by $0.6 million in tax expense related to adjustments in reserves for uncertain tax positions. (e) For the three months ended June 30, 2018 and 2017 the amounts exclude accelerated depreciation of $0.3 million and $0.6 million, respectively, related to the upgrade and replacement of the Company’s compounding facility in Terneuzen, The Netherlands. For the same reasons discussed above, we are providing the following reconciliation of forecasted net income to forecasted Adjusted EBITDA and Adjusted EPS for the three months ended September 30, 2018, as well as for the full year ended December 31, 2018. See “Note on Forward-Looking Statements” above for a discussion of the limitations of these forecasts. (f) Reconciling items to Adjusted EBITDA and Adjusted Net Income are not typically forecasted by the Company based on their nature as being primarily driven by transactions that are not part of the core operations of the business. As such, for the forecasted three months ended September 30, 2018 and full year ended December 31, 2018, we have not included estimates for these items. (g) Weighted average shares calculated for the purpose of forecasting Adjusted EPS do not forecast significant future share transactions or events, such as repurchases, significant stock-based compensation award grants, and changes in the Company’s share price. These are all factors which could have a significant impact on the calculation of Adjusted EPS during actual future periods. The Company uses Free Cash Flow to evaluate and discuss its liquidity position and results. Free Cash Flow is defined as cash from operating activities, less capital expenditures. We believe that Free Cash Flow provides an indicator of the Company’s ongoing ability to generate cash through core operations, as it excludes the cash impacts of various financing transactions as well as cash flows from business combinations that are not considered organic in nature. We also believe that Free Cash Flow provides management and investors with a useful analytical indicator of our ability to service our indebtedness, pay dividends (when declared), and meet our ongoing cash obligations. Free Cash Flow is not intended to represent cash flows from operations as defined by GAAP, and therefore, should not be used as an alternative for that measure. Other companies in our industry may define Free Cash Flow differently than we do. As a result, it may be difficult to use this or similarly-named financial measures that other companies may use, to compare the liquidity and cash generation of those companies to our own. The Company compensates for these limitations by providing the reconciliation below, which is determined in accordance with GAAP. On January 1, 2018, the Company adopted pension accounting guidance that requires employers to present the service cost component of net periodic benefit cost in the same statement of operations line item as other employee compensation costs arising from services rendered during the period. As a result of this adoption, for the three and six months ended June 30, 2017, the Company reclassified net periodic benefit cost of $1.3 million and $2.5 million, respectively, from “Cost of sales”, and $0.7 million and $1.5 million, respectively, from “Selling, general, and administrative expenses”, to “Other expense (income), net” within the condensed consolidated statement of operations. In addition to using standard measures of performance and liquidity that are recognized in accordance with accounting principles generally accepted in the United States of America (“GAAP”), we use additional measures of income excluding certain GAAP items (“non-GAAP measures”), such as Adjusted Net Income, Adjusted EBITDA, EBITDA and Adjusted EPS and measures of liquidity excluding certain GAAP items, such as Free Cash Flow. We believe these measures are useful for investors and management in evaluating business trends and performance each period. These income measures are also used to manage our business and assess current period profitability, as well as to provide an appropriate basis to evaluate the effectiveness of our pricing strategies. Such measures are not recognized in accordance with GAAP and should not be viewed as an alternative to GAAP measures of performance or liquidity, as applicable. The definitions of each of these measures, further discussion of usefulness, and reconciliations of non-GAAP measures to GAAP measures are provided in the Notes to Condensed Consolidated Financial Information presented herein. This press release may contain “forward-looking statements” within the meaning of the safe harbor provisions of the United States Private Securities Litigation Reform Act of 1995. Words such as “expect,” “estimate,” “project,” “budget,” “forecast,” “anticipate,” “target,” “outlook,” “guidance,” “intend,” “plan,” “may,” “will,” “could,” “should,” “believes,” “predicts,” “potential,” “continue,” and similar expressions are intended to identify such forward-looking statements. Forward-looking statements in this press release may include, without limitation, forecasts of growth, net sales, business activity, acquisitions, financings and other matters that involve known and unknown risks, uncertainties and other factors that may cause results, levels of activity, performance or achievements to differ materially from results expressed or implied by this press release. Such factors include, among others: conditions in the global economy and capital markets; the inability of the Company to execute on its business strategy; volatility in costs or disruption in the supply of the raw materials utilized for our products; loss of market share to other producers of chemical products; compliance with laws and regulations impacting our business; changes in laws and regulations applicable to our business; our inability to continue technological innovation and successful introduction of new products; system security risk issues that could disrupt our internal operations or information technology services; the loss of customers; the market price of the Company’s ordinary shares prevailing from time to time; the nature of other investment opportunities presented to the Company from time to time; and the Company’s cash flows from operations. Additional risks and uncertainties are set forth in the Company’s reports filed with the United States Securities and Exchange Commission, which are available at http://www.sec.gov/ as well as the Company’s web site at http://www.trinseo.com. As a result of the foregoing considerations, you are cautioned not to place undue reliance on these forward-looking statements, which speak only as of the date of this press release. All forward-looking statements are qualified in their entirety by this cautionary statement. The Company undertakes no obligation to publicly update or revise any forward-looking statements, whether as a result of new information, future events or otherwise.